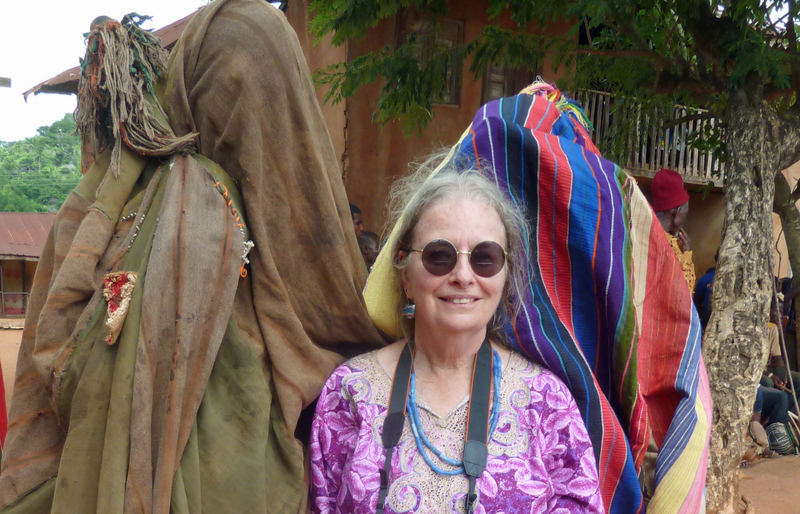 Jean Borgatti (Assistant Professor, History of Art + Visual Culture) recently presented a paper at the 2017 African Studies Conference held in Chicago. The paper focused on the history and sources memorial masquerades of Edo-speaking people living in Nigeria, Tall Ghosts, that returned annually to dance with their living kin and affirmed community solidarity and is based on previous research carried out in the 1970s and updated with current research carried out between 2015-2017. 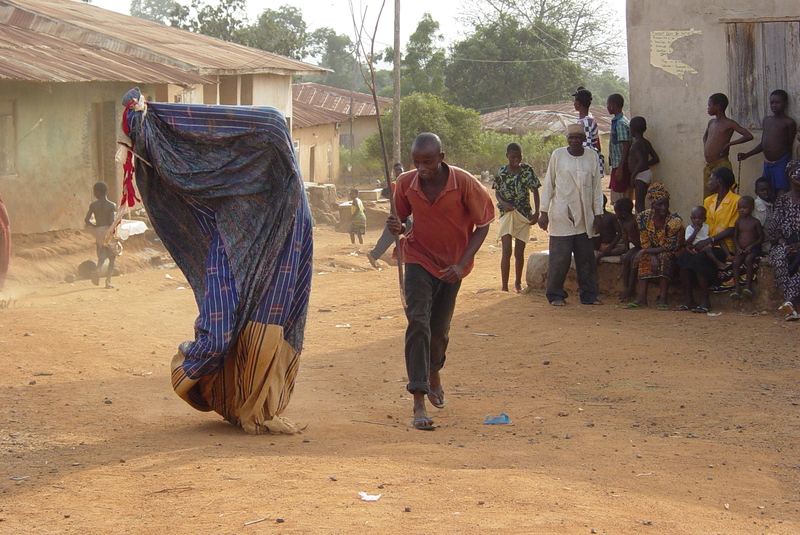 Tall Ghost in performance mode demonstrates the sweeping of footprints away by the trailing cloth of the masquerade costume.